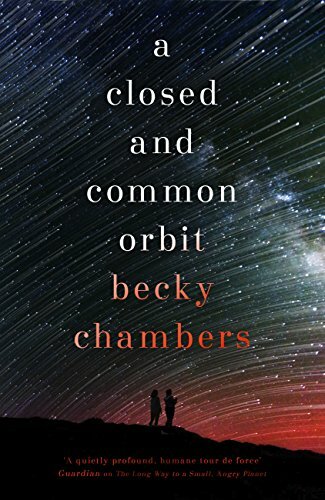 A Closed and Common Orbit is the sequel to The Long Way To A Small Angry Planet and this one tells two separate but overlapping stories - an AI trying to find its purpose and a young girl trying to escape a life of servitude. Jane is a cloned girl who has been built to provide labor- she works alongside a bunch of other girls, all with the same purpose- to sort and fix scrap. They work in large factories overseen by emotionless robots and they have no purpose but to work and sleep. Jane however escapes and comes in contact with an AI named Owl and together they plan to escape from the factory world. Sidra on the other hand is an AI trying to find meaning in her new body- she is the AI from the Wayfarer in the last book who has taken a new life in a "kit" or body housing, Instead of being a shipboard system she is now essentially a sapient AI- something that is illegal. So she has to be really careful as she navigates society. And like the first book, this society is diverse with a capital D- aliens of all kinds and humans mingle and live together on the tech haven where Sidra and her human friend Pepper live. This book is quite different from The Long Way To A Small Angry Planet in that the cast is smaller and there are just two narratives -Jane and Sidra. I love the world that Becky Chambers has created. It's a universe I'd love to live in, where interstellar travel is common and imubots keep you healthy, where modders can enhance themselves with cybernetic tech and vastly different races exist side by side. The book is slower than the previous one and tackles the same issues- the meaning of identity, the purpose of life, and just how far one can go with the very definition of life. It's a great story and thought provoking but it's not action packed. If you're looking for action and fast paced storytelling this isn't. I didn't mind though, I just like living vicariously in this setting for a while. I didn't enjoy it as much as the first book, but then I thought the first one was phenomenal so this was still a top notch read. The only characters returning from the first book are Pepper and Lovelace (who renames herself Sidra). I thought Pepper was okay, I wasn't super invested in her character but I could relate a lot more to Sidra, who started out her life with an act of great generosity and now has to find out who she is. On the other side of things is the Jane story and it's largely a survival tale in the early bits. Jane is basically raised by an AI so we see how that works juxtaposed with Sidra's struggles as a newly awakened AI. Chambers really makes this universe work and there are nice moments of humor as well. I enjoyed the story for the most part but I don't consider it essential like I do the first book. I'm hoping that future installments will revisit the Wayfarer crew or perhaps take a different direction, but if you enjoyed the first book this has a lot to offer. Oh wow, it's a series? I didn't realise -- and this one sounds so ... dark in a way. It's not bad, I wouldn't say dark, Jane comes from a dark beginning but the story itself isn't. I've just added both books to my post Christmas book shopping list. I've always wanted to read the first book but it keeps slipping off from my radar. I'm not much of a Sci-Fi reader, but I've got to admit these sound way too good to pass up! I'm glad you added them, they're both so good! I now want to read both books! They sound like they are exactly what I need right now. Oh i hope you enjoy them. they're both really good, especially the first! Don't know much about them but since my husband works with kids and their parents always send them to him sick so they don't have to deal with them (an alternative school), he could definitely benefit from an imubot! Yes imubots would DEFINITELY come in handy! Great review. Agreed that it is very different from The Long Way, but I think I prefer this tight focus more. The two books are similar in that they focus on some common themes, but I definitely found this one more emotional and meaningful. There is something to be said for that tighter focus- and you have a good point, this was very much a more intimate story with both Sidra and Jane. I'm not much of a sci-fi reader but this sounds really good! I like the sound of this one better than Angry Planet just because of the smaller focus but the premise as a whole sounds great. I'll have to check it out! Your review of the first book had me really intrigued! I didn't realize it's a series, but I'm happy to hear you enjoyed this one too. Great review! 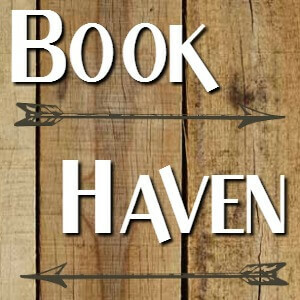 Do You Judge A Book By The Cover? Are Some Authors Too Big To Fail?